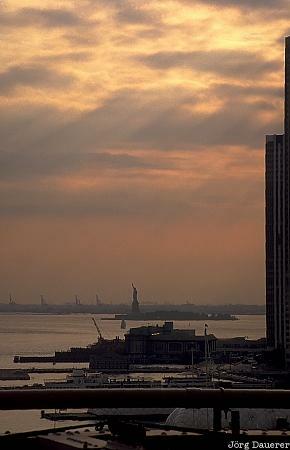 Sun beams above the statue of liberty south of Manhattan at sunset seen from Brooklyn Bridge. Manhattan is in New York City, New York in the east of the United States. This photo was taken in the evening of a sunny day in September of 1994.